Joe Rossi, CCIM, is the Executive Managing Director of Investment Services at Colliers International in Central Florida, leading Colliers’ Capital Markets platform with a focus on office, medical and industrial properties throughout the State of Florida. Joe, a 23-year veteran, is a highly regarded professional within the Florida real estate investment markets and has established a vast network of investors and financial contacts. Throughout his career, Joe has sold more than $578 million worth of property across 5,000,000 square feet of space. Joe provides expert guidance and advisory services to his clients throughout all stages of their ownership cycle. Senior Vice President – Investment Services at Lincoln Property Company for four years where he handled office, industrial and retail investment sales. He closed transactions in excess of $64M across 15 transactions, acting as a receiver where needed. Senior Vice President – Investment Services Group with Grubb & Ellis for 6.5 years and was a key member of their Financial Services Asset Management and Distressed Property Services groups with over $170 million in 32 transactions. Manager - Real Estate Investments at The St. Joe Company from 1998-2004, directing the disposition of over 1M square feet of commercial properties. Real Estate/Budget Analyst for Koger Equity, performing underwriting analysis and research across more than 1.6 million square feet of office development projects and 2 million square feet of office acquisitions. Joe was also responsible for the budgeting and cash flow projections for the entire 36 million square foot portfolio. T.J. Campton is a licensed broker associate with Colliers International in Central Florida, specializing exclusively in office and industrial investments. T.J. joined Colliers International in 2015 and has brokered institutional and private capital asset dispositions across the State of Florida. 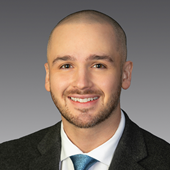 T.J. is a CCIM candidate pursuing his designation for 2019. He has received dual certifications in commercial property research and marketing. He received his B.A. from the University of Central Florida. He holds a real estate brokerage license with the State of Florida and is an active board member for the City of Orlando and local nonprofit Volunteers for Community Impact, Inc.
Having joined Colliers in 2018, Mackenzie works exclusively with the office and industrial investment services brokerage team in Central Florida and is responsible for the research and development of all marketing and sales materials throughout each phase of an asset’s listing process. Mackenzie creates and implements marketing campaigns which include the design of marketing materials, e-marketing strategies, advertising, and presentations/proposals. 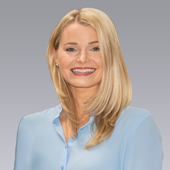 Mackenzie assists in providing market insight for her team by utilizing her analytics background when researching the commercial real estate market of Greater Orlando and Tampa Bay. Mackenzie ultimately constructs the course of action for projects by establishing each project’s objectives, and coordinates all the essential elements needed in order to achieve those objectives.